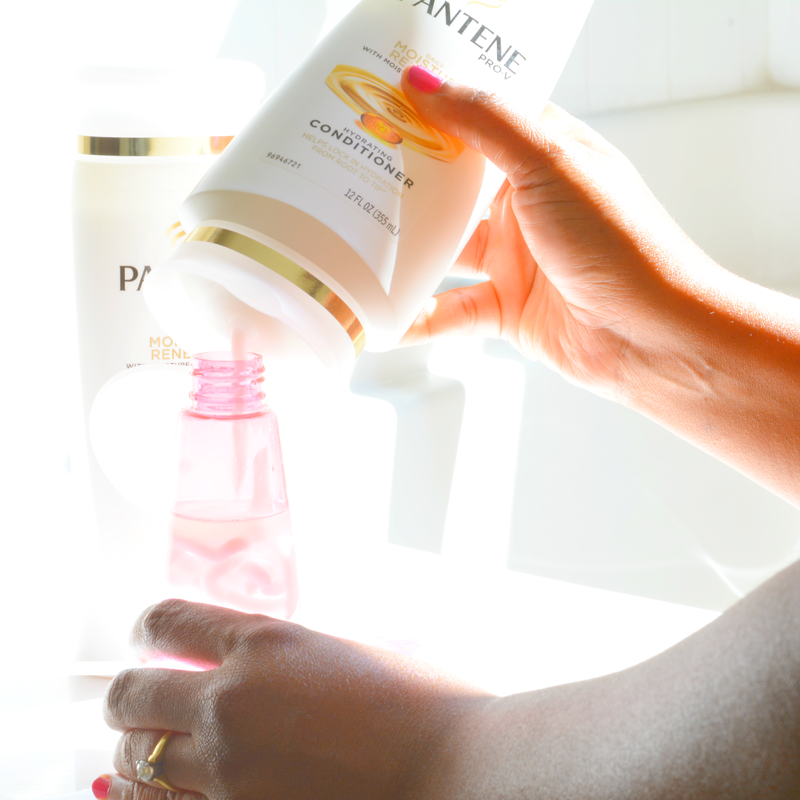 Pantene provided me with compensation and product for review. The opinions I have shared are my own. 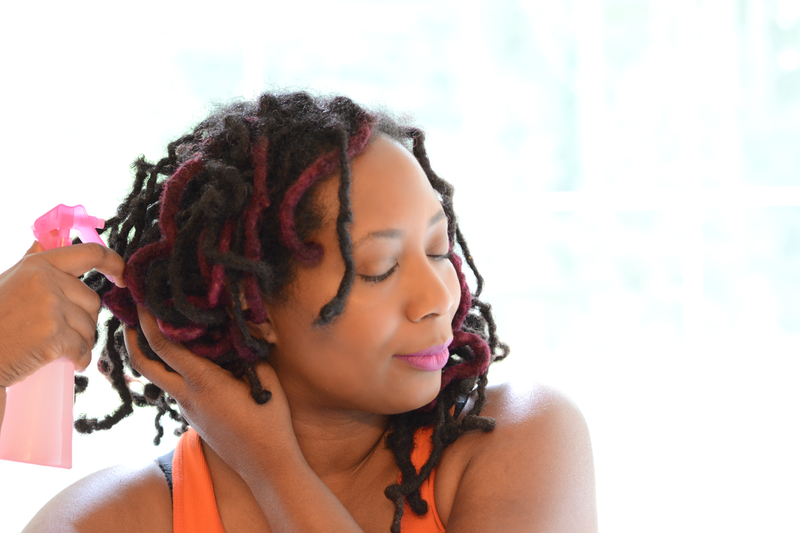 One of the great things about having loc'd natural hair is that it is super low maintenance. There's no combing or brushing required. Wash day can be a bit of a struggle. It's easier now that I have shorter hair. Curling (my style of choice) is the hardest part but once the curls are in there's not much I have to do to it. My one hair care goal is to keep my hair moisturized at all times. 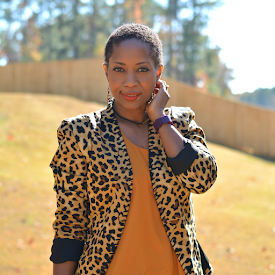 Dryness does become an issue but I can solve that problem in 4 easy steps. Step 1: Wash with a moisturizing shampoo. I use Pantene because it's always worked great for my hair. It's conveniently located at Walmart and I'm there a lot so I can always find it. I've been using Pantene's Daily Moisture Renewal with moisture silk complex because it locks in moisture very well from root to tip. 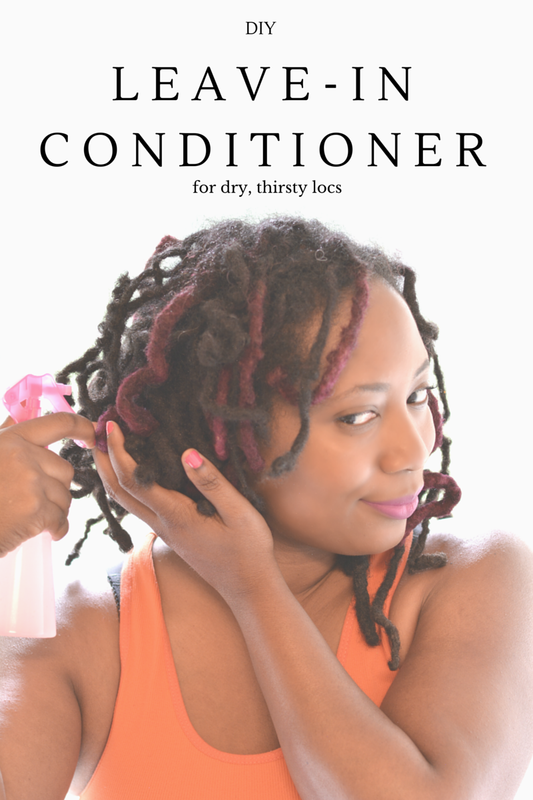 Step 2: Always follow up with conditioner. 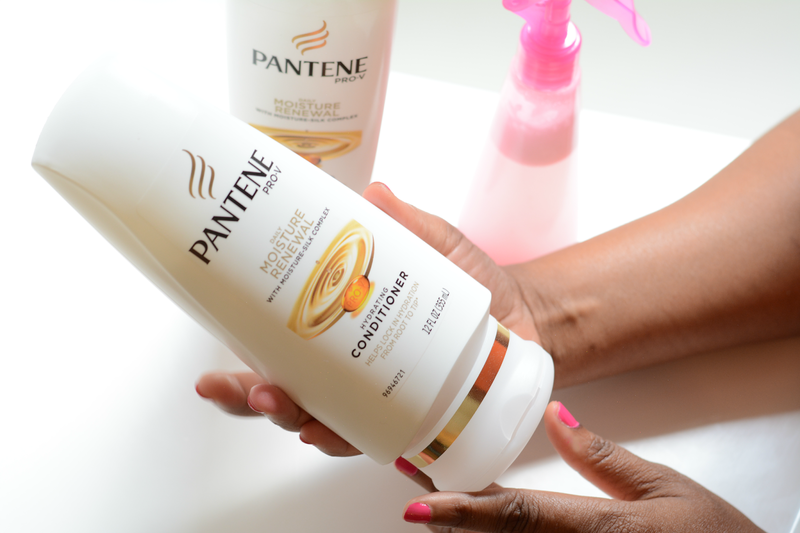 Pantene's conditioner leaves my hair soft and strong against damage. 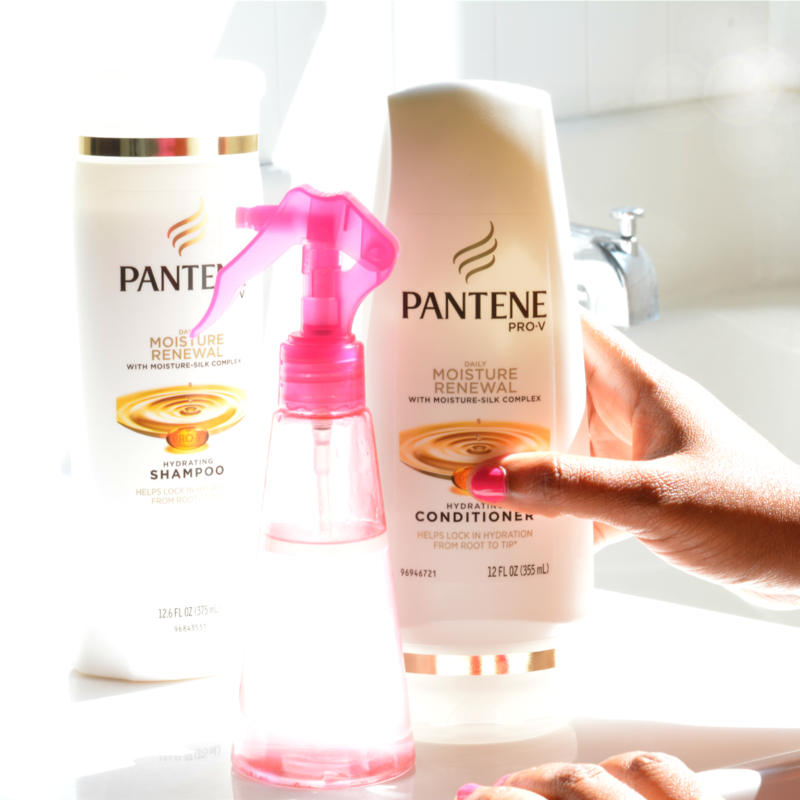 Pantene Daily Moisture Renewal erases the damage of 100 blow dries. Good to know since I use the dryer a lot as it can take up to 24 hours for my hair to completely dry. 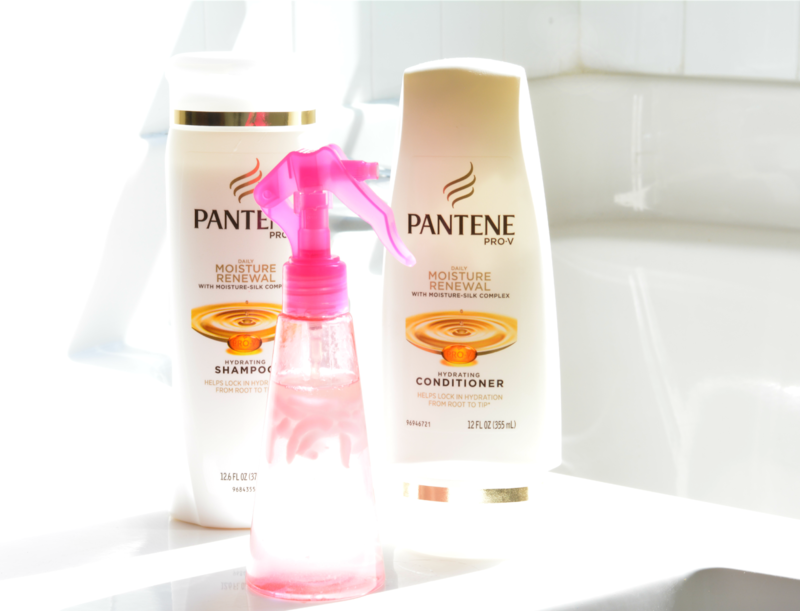 The shampoo and conditioner work together to make hair 2x stronger than shampoo alone. Step 3: Add moisture as needed. I'm a minimalist when it comes to hair products. I like to keep it very basic so I make my own leave-in conditioner. I mix distilled water with a dollop of conditioner and a tsp. of coconut oil in a spray bottle. Shake it up and spray when needed. Step 4: Sleep in a bonnet. Sleeping in a bonnet has a duo purpose. If I use the leave-in conditioner before bed, the conditioner soaks in and softens my hair overnight. The bonnet also keeps the oils from being absorbed by my pillow and causing a dryness problem all over again. Do you use Pantene? How do you add moisture to your hair?